Ross Lipman’s “Notfilm” is a “kino essay” about “Film” (1965), by Samuel Beckett, the Nobel Prize-winning, bleak genius’s sole venture into cinema. No less than “an investigation of the cinematic medium and the human experience of consciousness,” as Lipman puts it in his cover-to-cover voice-over narration, “Film” had big ambitions for a 20-minute, near-silent (“Shhh!” being the only sound uttered), black-and-white short made by people who, for the most part, had no experience making movies. 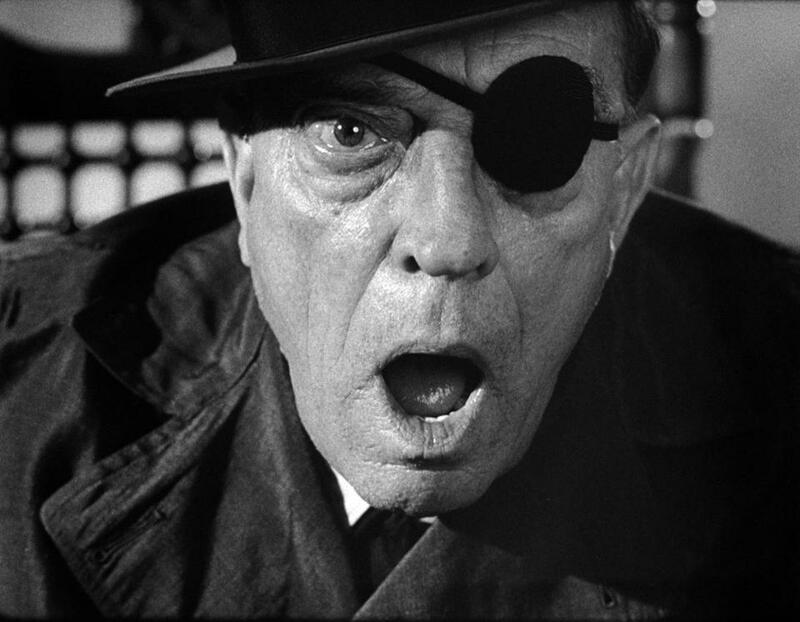 Beckett in particular was terrified and clueless, yet he still ignored the guidance and suggestions of the experts — his lead actor Buster Keaton and his cinematographer Boris Kaufman (“On the Waterfont”). Lipman’s documentary also seems at times uncertain about what it’s trying to accomplish. Divided into two “acts” separated by an “interval” for no apparent reason other than to acknowledge that Beckett was a dramatist, “Notfilm” makes up for its sketchiness by its insight into “Film” and its relationship with Beckett’s works in general. Though occasionally pedantic, and resembling an illustrated lecture (“Having eliminated all sensory perception, God, and memory, what’s left? We’ll pause here as ‘O’ falls asleep.”) Lipman has a knack for making associations. He shows how this oddity epitomizes Beckett’s art. He unfurls a web of serendipitous connections that includes the 18th-century idealist philosopher George Berkeley, the Honoré de Balzac’s 1851 play “Mercadet,” and the silent movie masterpieces of Keaton and Charlie Chaplin. Chaplin was Beckett’s first choice to play the protagonist “O” (for “Object”), who flees the unseen “Eye” (the camera’s point of view as a metaphor for self-consciousness). Keaton was about third or fourth on the list of those considered. Broken down by booze and abandoned by Hollywood, Keaton nonetheless proved an apt choice, having played with similar cinema reflexivity in films such as “Sherlock Jr.” (1924). But Beckett rejected even the sight gags Keaton suggested. Thus, he let pass a rare opportunity for a collaboration of like-minded geniuses and ended up instead with a schematic abstraction. Though not as polished as “Film,” Lipman’s “Notfilm” might be that rare instance where the critical commentary is of more interest than the work itself. Directed and written by Ross Lipman. Starring Billie Whitelaw, Kevin Brownlow. At the Brattle. 130 minutes. Unrated (you look into the void and the void looks into you).